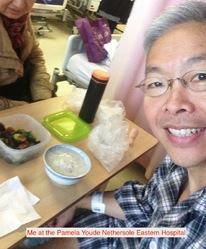 My name is Rex Chan, I am 58 years old and I have blood cancer. In 2005 I was checked into the Pamela Youde Nethersole Eastern Hospital and diagnosed with Chronic Myeloid Leukemia. I was eventually put on 400mg/day of Imatinib Glivec made by Novartis. This cost me HKD 18,400 per month and I was on this expensive medication for almost 5 years until my father told me that I can get Glivec from India at a much lower cost, around HKD5000 per month in 2009. Ten years ago it was not possible for suppliers in India to deliverthe Glivec into Hong Kong and so every few months I had to find friends or friend of friends who happen to be traveling to India to help bring my medication back to Hong Kong. And then about five years ago it was possible to send the Glivec from India to Hong Kong by post and this made life a lot easier for me. Now, I have been using Imatinib Glivec from Indiasince 2010. I have used Glivec made by Cipla and now have been on Natco for the past five months and my blood count report continue to be under control. If you have any questions,for example, how can you trust if the medication will be posted to you once you made payment or how can you trust if the medication is as effective then please feel free to contact me and I can try to help address your concerns. I want to help people who are struggling with the high cost of these targeted drugs. ¿¿¿¿¿¿¿¿¿¿¿¿¿¿¿58¿¿¿¿¿¿¿¿¿¿¿¿¿¿¿¿¿¿¿¿¿ 2005¿¿¿¿¿¿¿¿¿¿¿¿¿¿¿¿¿¿¿¿¿¿¿¿¿¿¿¿¿¿¿¿¿¿¿¿¿¿¿¿¿¿¿¿¿¿¿¿¿¿¿¿¿¿¿¿¿¿¿¿¿¿¿¿¿¿¿¿¿¿¿¿¿¿¿¿¿¿¿¿¿¿¿¿¿¿¿¿¿¿¿¿¿¿¿¿¿¿¿¿¿¿400¿¿¿¿¿¿Novartis¿¿¿¿¿¿¿¿¿ Imatinib Glivec¿¿¿¿¿¿¿¿¿¿¿¿¿¿¿¿¿¿¿¿¿18,400¿¿¿¿¿¿¿¿¿¿¿¿¿¿¿¿¿¿¿¿¿¿¿¿¿¿¿¿¿¿¿¿¿¿¿¿¿¿¿5¿¿¿¿¿¿¿¿¿2009¿¿¿¿¿¿¿¿¿¿¿¿¿¿¿¿¿¿¿¿¿¿¿¿¿¿¿¿¿¿¿¿¿¿¿¿¿¿¿¿¿¿¿¿¿Glivec¿¿¿¿¿¿ ¿¿¿¿¿¿¿¿¿¿¿¿¿¿¿5000¿¿¿¿¿¿¿¿¿ ¿¿¿¿¿¿¿¿¿¿¿¿¿¿¿¿¿¿¿¿¿¿¿¿¿¿¿¿¿¿¿¿¿¿¿¿¿¿¿¿¿¿¿¿¿Glivec¿¿¿¿¿¿¿¿¿¿¿¿¿¿¿¿¿¿¿¿¿¿¿¿¿¿¿¿¿¿¿¿¿¿¿¿¿¿¿¿¿¿¿¿¿¿¿¿¿¿¿¿¿¿¿¿¿¿¿¿¿¿¿¿¿¿¿¿¿¿¿¿¿¿¿¿¿¿¿¿¿¿¿¿¿¿¿¿¿¿¿¿¿¿¿¿¿¿¿¿¿¿¿¿¿¿¿¿¿¿¿¿¿¿¿¿¿¿¿¿¿¿¿¿¿¿¿¿¿¿¿¿¿¿¿¿¿¿¿¿¿¿¿¿¿¿¿¿¿¿¿¿¿¿¿¿¿¿¿Glivec¿¿¿¿¿¿¿¿¿¿¿¿¿¿¿¿¿¿¿¿¿¿¿¿¿¿¿¿¿¿¿¿¿¿¿¿¿¿¿¿¿¿¿¿¿¿¿¿2010¿¿¿¿¿¿¿¿¿¿¿¿¿¿¿¿¿¿¿¿¿¿¿¿¿¿¿¿¿¿¿¿¿¿¿¿¿¿¿¿¿¿¿¿¿¿¿¿Cipla¿¿¿¿¿¿¿¿¿Glivec¿¿¿¿¿¿¿¿¿¿¿¿¿¿¿¿¿¿¿¿¿¿¿¿¿¿¿Natco¿¿¿¿¿¿¿¿¿¿¿¿¿¿¿¿¿¿¿¿¿¿¿¿¿¿¿¿¿¿¿¿¿¿¿¿¿¿¿¿¿¿¿¿¿¿¿¿¿¿¿¿¿¿¿¿¿¿¿¿¿¿¿¿¿¿¿¿¿¿¿¿¿¿¿¿¿¿¿¿¿¿¿¿¿¿¿¿¿¿¿¿¿¿¿¿¿¿¿¿¿¿¿¿¿¿¿¿¿¿¿¿¿¿¿¿¿¿¿¿¿¿¿¿¿¿¿¿¿¿¿¿¿¿¿¿¿¿¿¿¿¿¿¿¿¿¿¿¿¿¿¿¿¿¿¿¿¿¿¿¿¿¿¿¿¿¿¿¿¿¿¿¿¿¿¿¿¿¿¿¿¿¿¿¿¿¿¿¿¿¿¿¿¿¿¿¿¿¿¿¿¿¿¿¿¿¿¿¿¿¿¿¿¿¿¿¿¿¿¿¿¿¿¿¿¿¿¿¿¿¿¿¿¿¿¿¿¿¿¿¿¿¿¿¿¿¿¿¿¿¿¿¿¿¿. 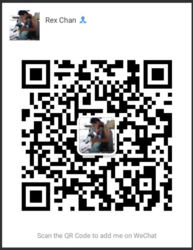 you can contact REX Through Wechat.